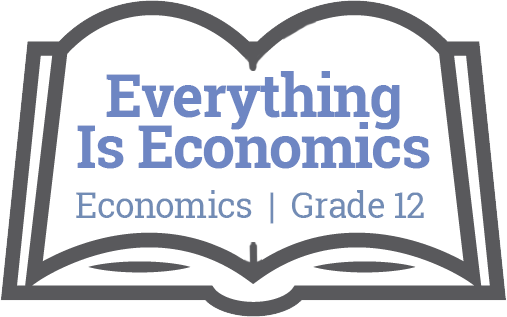 Explain how the economy is closely interconnected with social, political, and environmental systems. Make informed economic predictions based on current events. Analyze the effectiveness of an economic system from multiple perspectives, including cultural, social, monetary and environmental. All resources are scarce and we all want more than we can have. All choices involve opportunity costs. In making one choice, we refuse something else. Economic systems have political and social frameworks and consequences. The economy, the environment, and people are composed of interconnected systems. Development, structure, and function of Canadian and other economic systems, including First Peoples governance. Influence of ideology, public opinion, and civic engagement on the development of economic policy. Interconnections between demography, urbanization, environment, globalization, and economic development. Economic opportunities and partnerships, including challenges to First Peoples beliefs regarding the land. I recognize that there are different points-of-view and I can recognize commonalities as well as disagree respectfully. I build on others’ ideas and add new ideas of my own, or combine other people’s ideas in new ways to create new things or solve straightforward problems. I can analyze evidence from different perspectives. I take the initiative to inform myself about controversial issues. I can take thoughtful actions to influence positive, sustainable change. Learning that ultimately supports the well-being of the self, the family, the community, the land, the spirits, and the ancestors. Learning that requires exploration of one’s identity.